Start cultivating the calm, deeply connected life you crave today. Homeschooling your children doesn’t have to be overwhelming. You can learn to focus on what matters most! 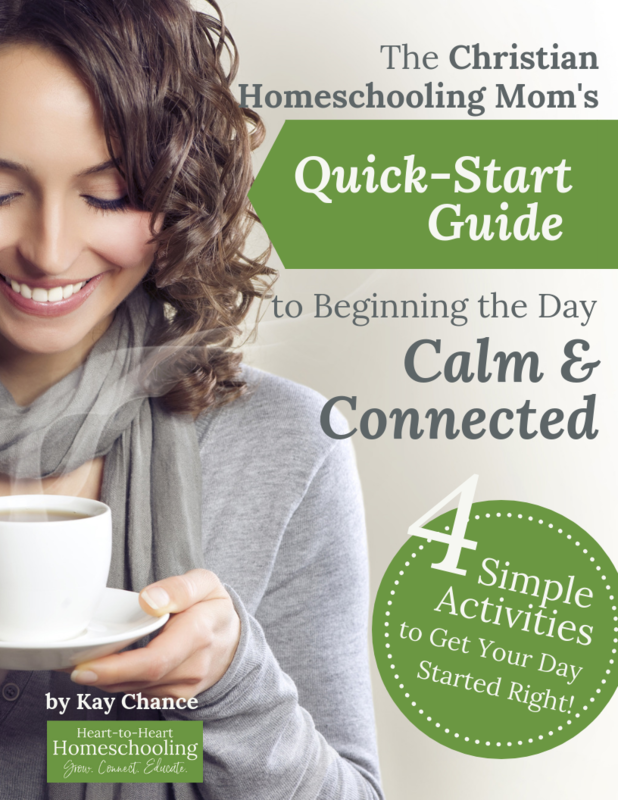 Join the Heart-to-Heart Homeschooling community and receive encouraging emails, specials on new products, and the FREE quick-start guide. 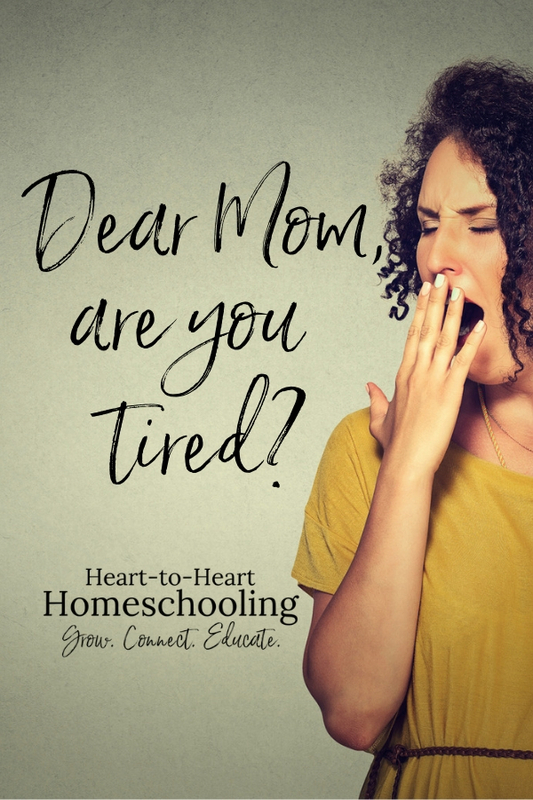 Heart-to-Heart Homeschooling: Grow your faith, connect with your children, and educate them—heart, mind, and soul! We won’t send you spam. We won’t sell your email address. Unsubscribe at any time. Yes, being a mom can be exhausting at times. And that is a part of life. But there is a difference between falling into bed at night because you were busy doing what God has called you to do and living in a state of overwhelming exhaustion because you didn’t obey Him. Because you chose to “do-life” your way. You can find rest even when you are physically tired. I can hear the clamoring yeses. I think every mother would admit to feeling the way you’ve described. 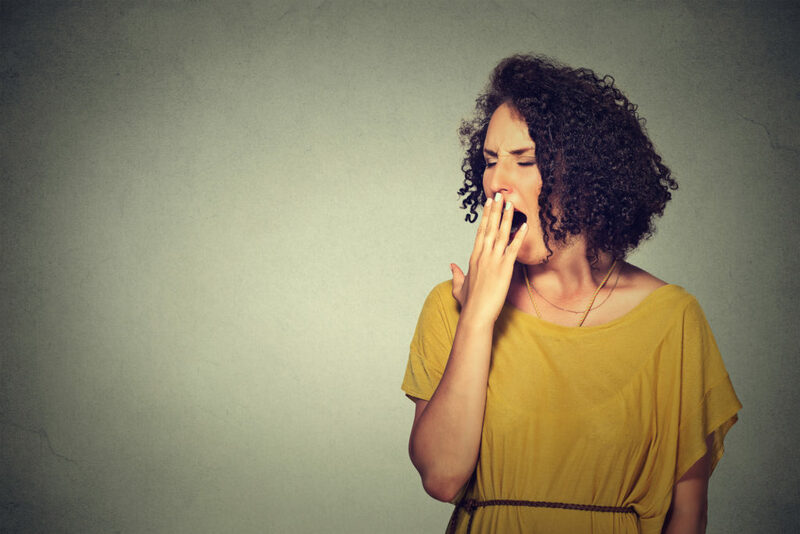 We know we need rest, but sometimes we need permission. Thank you for the reminder that our creator gave us that permission, and suggestions of ways to implement it. I was feeling all this yesterday. Thank you for reminding me that it’s okay to take a break and rest! I need to stop rushing and enjoy being still with my kids!! All so true! Thanks for the good reminders! We all need to be intentional about it! Sure, Type As may need to slow down sometimes. I’m more of a Type B and I have to make sure my rest is truly rest (meaning it serves as a time of renewal & refreshment and I’m not just zoning out in front of the TV). Thanks Jennifer! As a single mom, rest seems near impossible at times. I like your suggestion of gratitude and also the idea to reframe the endless chores as an act of serving God by taking care of my daughters. Thank you for this! I can’t even imagine how hard that is. I hope it does help 🙂 For me, feeling rested has just as much to do with my attitude. I had another person share how they had quiet time every afternoon no matter what the age their children were (even teens) with each person doing a quiet activity. I don’t know if that might work for you. I love the concept of reframing every day tasks as acts of worship. There’s a song played on k-love frequently with the lyric ” do everything you do for the glory of the One who made you.” That includes emptying the dishwasher and though I’m frequently exhausted, it makes me feel like what in doing has value. we need to take our time don’t we? To see God more clearly, so we can do the work he’s called us to all the better, resting in HIS strength. This is such a great reminder. It’s so hard as Moms to remember to take care of ourselves and rest. Yes it is! I think we sometimes feel we are cheating our kids if we do, but the opposite is really true. This was beautiful. Thank you! I needed that encouragement today!